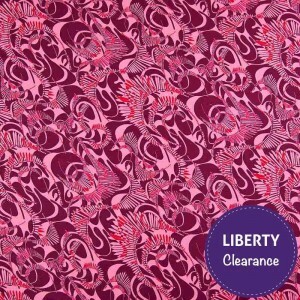 As I have previously discussed Abakhan Fabrics have recently had 22,000 meters of Liberty fabrics delivered! Initially just the Tana Lawns were available to buy but now the Cotton Twills, Kingly Cotton Cords, Jerseys, Lifestyle Craft Cottons and Mayfair Silk Chiffons are all available to purchase from Abakhan at great discounted prices. 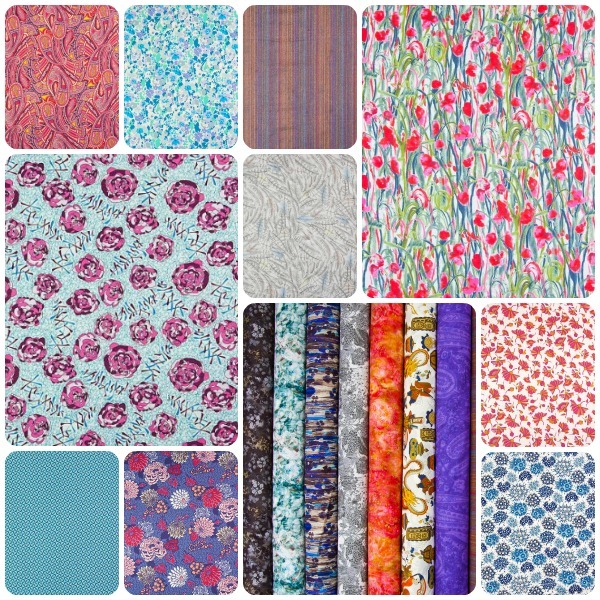 As with all Liberty fabrics, their jersey is of great quality & is a beautifully soft fabric with a distinct stretch, jersey is your go-to for versatility and comfort. The jersey composition is 95% cotton with 5% elastane and 150cm. After browsing through all the Liberty jerseys available, I chose my favourite 2 and ordered 1m of each. I love abstract prints and find the swirls and bright colours in the Liberty Tana Jersey Fabric Mitford Pink beautiful and my much my style. 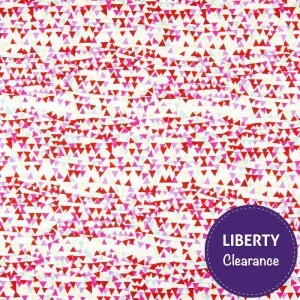 I also love the slightly quirky but still pretty and colourful Liberty Tana Jersey Fabric Robin Pink and ordered 1m of that also, as I reckoned the two would work beautifully together. I decided with winter approaching (yes I know it’s pretty mild one so far) to make a big snuggly infinity scarf with this jersey. You can’t make too many stylish scarves at winter and a beautiful soft Liberty jersey infinity scarf will be the perfect stylish accessory perfect to snuggle against on a cold winters day! Just in case you don’t know – an infinity scarf is basically one giant loop of fabric and is sometimes also known as a circle scarf. 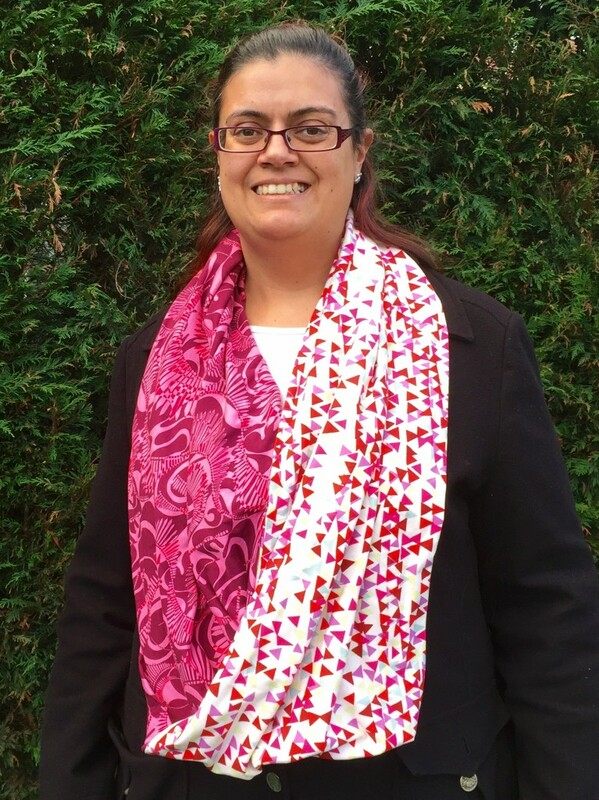 Infinity scarves are quick and easy to make, as well as stylish and comfy. I have made a few before, so this took me even less time as I already have my head wrapped round the concept, which i admit took a little getting used to at first. 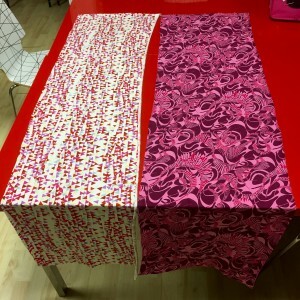 I cut this out on Sunday evening and then stitched it together on the overlocker at Liverpool Sewing Club on the Monday evening – took me less than 2 hours in total! 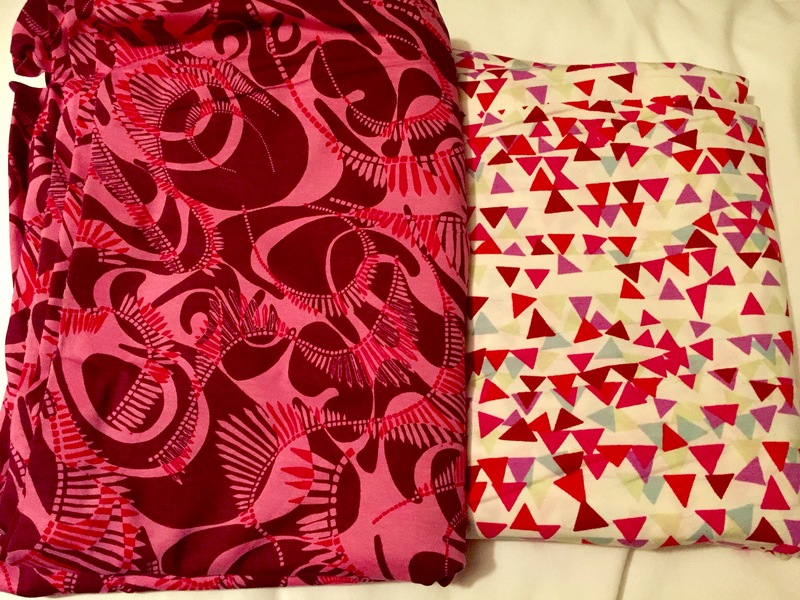 I used the overlocker to sew the Liberty jersey with as it makes it much quicker and easier and I am rather fond of sewing with an overlocker. You could just a standard zigzag or overcasting stitch to sew jersey with on a standard sewing machine however. The Liberty jersey is beautiful to sew with, so soft and easy to handle and with just the perfect amount of elastane in that it stretches well but also returns back to it shape quickly and uniformly. No skipped stitches, no tension issues or any other hassle at all with this jersey! 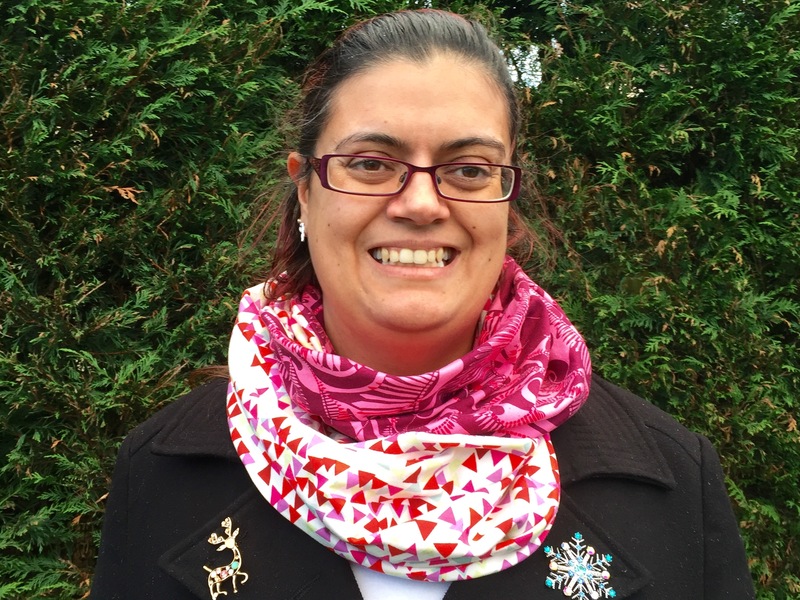 I’m really happy with my new scarf and love the fact that in this milder weather I can wear it open as one long loop and when it get cold wrap it round again and snuggle up in it’s softness. 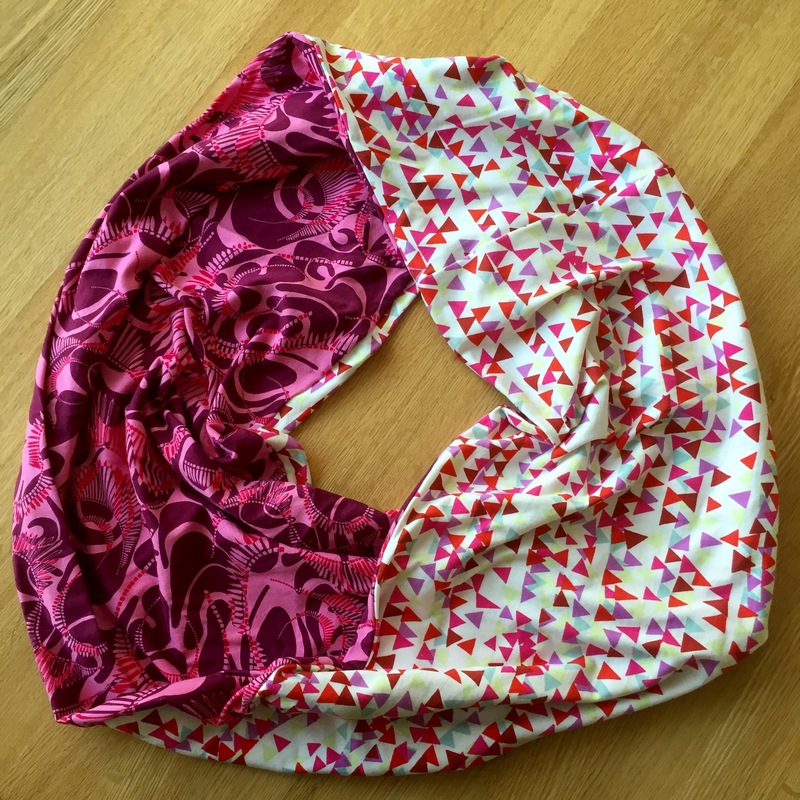 I’ll write a tutorial on how to make one of these lovely Liberty jersey infinity scarves, however that will; have to wait till the new year as it’s now Christmas Eve and I still have some hand sewing and pressing to do on my Christmas day top, oops! 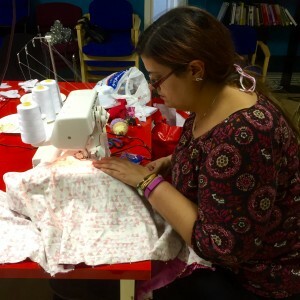 Merry Christmas – let me know if you get any of Abakhan’s lovely Liberty fabric from Father Christmas or any other sewing related gifts.